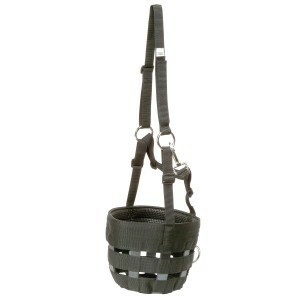  Nylon webbing material with rubber inserts and muzzle bottom used to provide a strong and durable muzzle with no-rub padding for extra comfort. 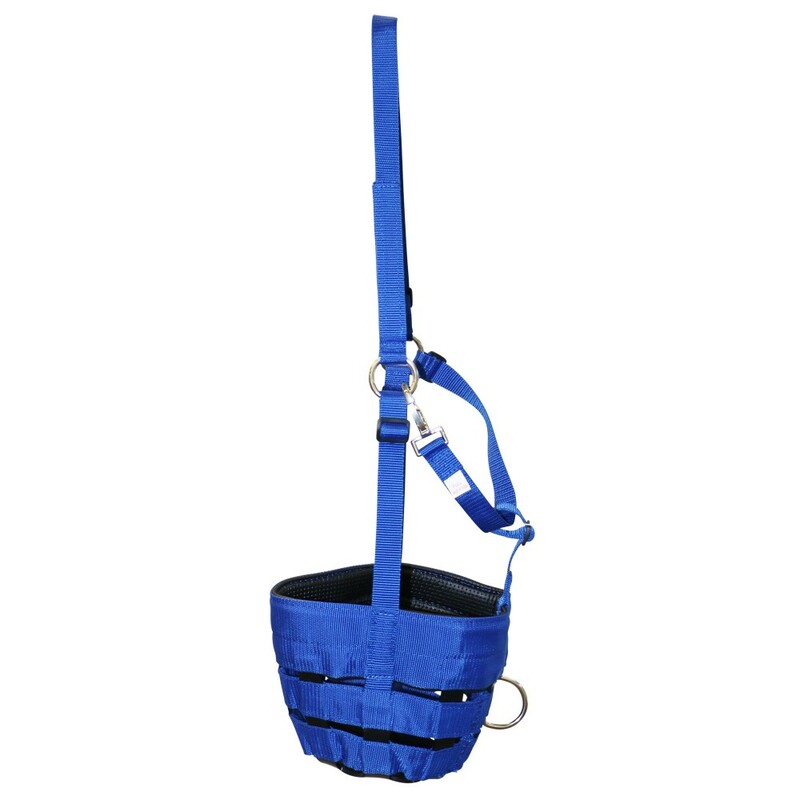  Adjustable nylon web straps each side and a snap latch on the throat strap.  Heavy duty D ring attached to clip a lead to.  Full - Inside circumference, 67cm. Top diameter, 24cm. Muzzle depth, 19cm.  Cob - Inside circumference, 62cm. Top diameter, 22cm. Muzzle depth, 18cm.  Pony - Inside circumference, 54cm. Top diameter, 18cm. Muzzle depth, 16cm.  Yearling - Inside circumference, 47cm. Top diameter, 16cm. Muzzle depth, 14cm.  Mini - Inside circumference, 43cm. Top diameter, 14cm. Muzzle depth, 13cm. Thank you for your review of Equi-Prene Grazing Muzzle w/Rubber Base Pony Blue.